A flippant comment made by Jose Mourinho last week has escalated out of proportion to become the the latest feud that has diverted attention away from his team. This time however it's clear he has met his match in Antonio Conte. For years as a Chelsea fan we would sit and watch with smiles on our faces a Jose Mourinho press conference whether it was for domestic or European games, the man was quite simply box office. It wasn't just the Chelsea fans who would tune in or catch up with his latest barbs, it was the majority of fans because he had that aura about him as after all he was The Special One. Back then we would love it, defend the man to the hilt and believe 100% in everything about him. He had that glint in his eye and a sparkle that would make people sit up and take notice away from the football pitch. He was different class. Now, watching him from the outside, he is a different person and someone who appears to be miserable up north. The glint in his eye has gone, the sparkle he had has gone and the aura he once carried seems to be a distant memory. Don't get me wrong here, I will always love the man for what he did for my football club but now he just seems bitter with a chip on his shoulder for whatever reason that is and it doesn't suit him at all. 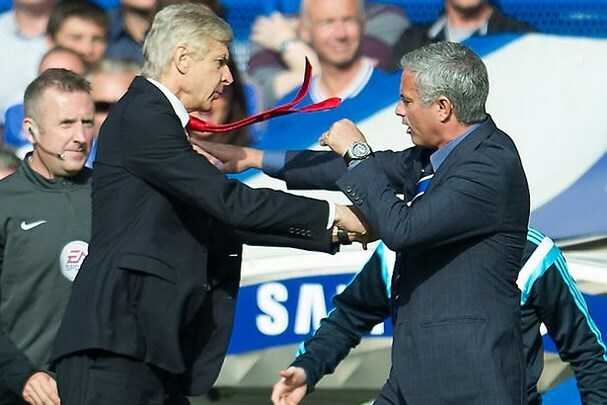 For years managing in England Mourinho has had his spats with different managers up and down the country with the most famous being his feud with Arsene Wenger and the "specialist in failure" comment which at the time made most people laugh (including some of the Arsenal fans who called for him to quit last summer). 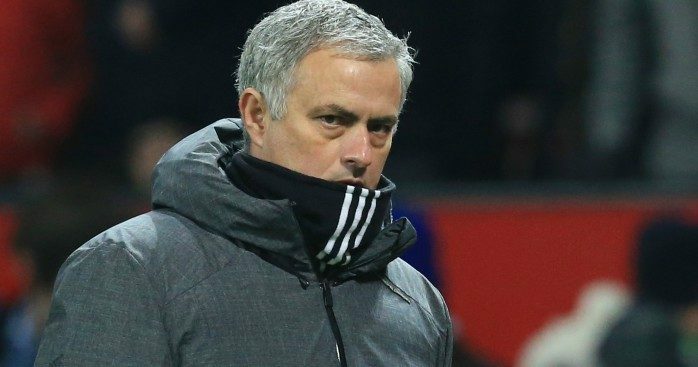 Some took offence to it and called for the LMA (League Managers Association) to get involved to cool things down but nothing really came of it because let's face it even if he was slapped with fine or a ban, Mourinho wouldn't change knowing that he had one up on more or less every other manager he faced. Antonio Conte is a very different story and this takes us back to our first meeting with Mourinho at Stamford Bridge in the Premier League last season as we hammered United. 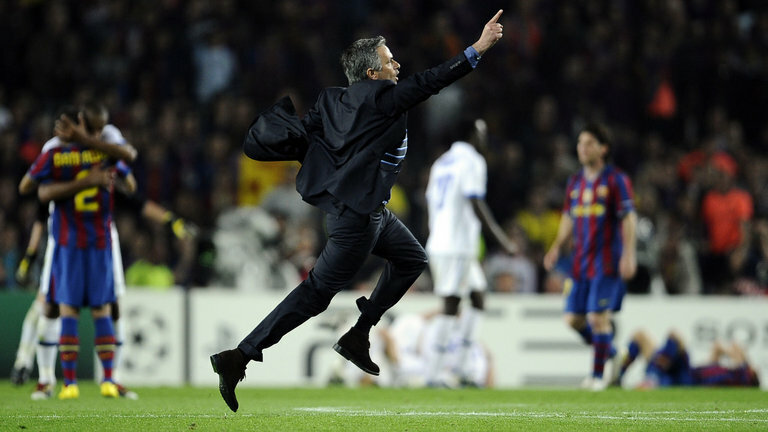 At the final whistle, Mourinho tried to impose himself on Conte by complaining to him about his exuberant goal celebrations. Conte just listened and walked away but the fire had been lit. 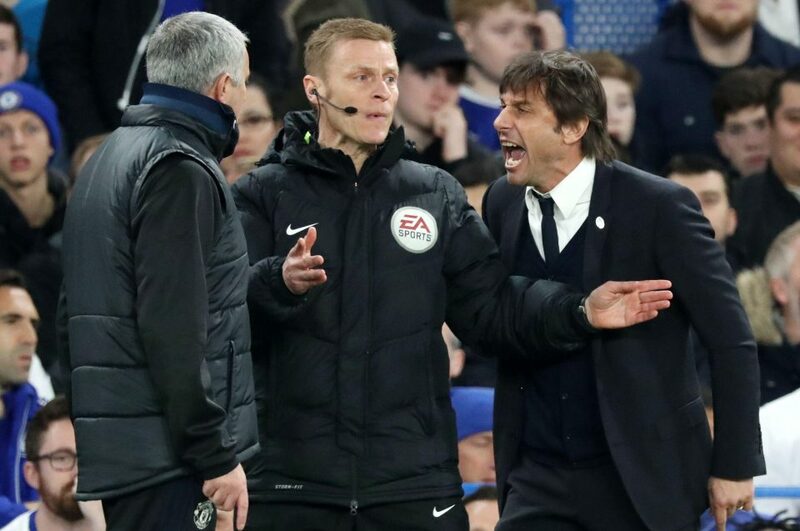 Our second meeting at Stamford Bridge in the Cup demonstrated that Conte was not prepared to sit and accept Mourinho's comments and antics as Mourinho walked across towards Conte to complain about something in the game to which Conte flew across his technical area barking at Mourinho. Looking taken aback, Mourinho stepped backwards away from the advancing Italian and realised that he would not have things his own way for once. 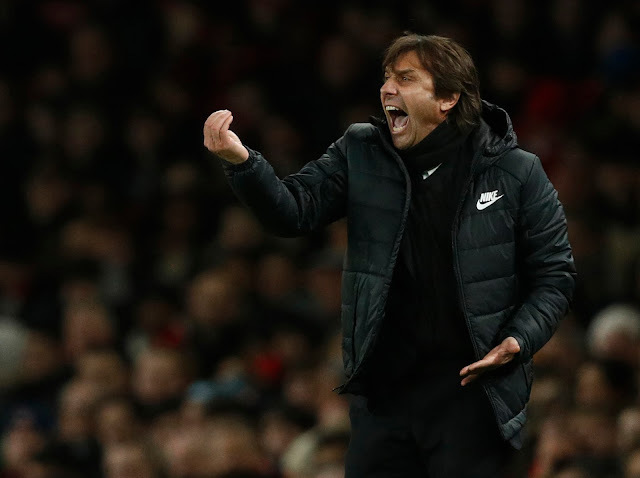 For the remainder of the season last term, we heard consistent complaints and comments being made by Mourinho of Chelsea and Antonio Conte's style of football as we walked our way to the title. Comparing the criticism he had received at the hands of the media, Mourinho would moan that the press favours Conte and his style this time around and he didn't like it. He used previous comments to detract focus from his teams poor league performance as he does. So to this season and again, seeing his team way off the pace of Manchester City and Pep Guardiola in particular, Mourinho is doing the same again by making controversial comments to detract focus from his team. Let's not forget that this season is Jose's famous "second season" at a club where he usually wins the title so the fact that he is not going to this year will bring even more focus on his failure this year in addition to spending massive amounts of money since he joined United. For someone who is famous and always remembered for running down the touchline to celebrate his Porto side at Old Trafford, for his famous knee slide at the Nou Camp as Chelsea scored to his celebrations at the final whistle again at the Nou Camp for his Inter Milan side knocking out the hosts knowing that he would rile the home supporters, Mourinho has made a comment last week that has sparked a real feud in the media that has taken all of our focus away from football once again. Because I don't behave as a clown on the touchline, it means that I lost my passion. I prefer to behave the way I am doing it, much more mature, better for my team and myself, I don't think you have to behave like a crazy guy on the touchline to have that passion. "I think he has to see himself in the past - maybe he was speaking about himself in the past. Maybe, sometimes, I think that someone forgets what's said in the past, which is his behaviour. Sometimes I think there is, I don't know the name, but demenza senile... when you forget what you do in the past." 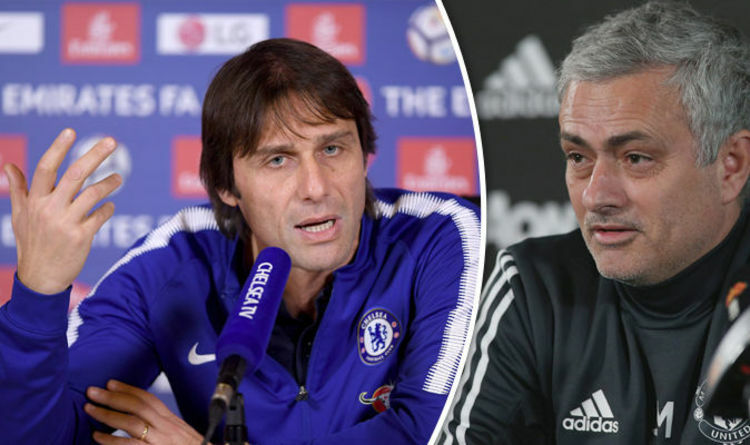 Antonio Conte's comments came in his pre-match press conference on Friday lunchtime ahead of Mourinho's which would take place later that afternoon. When asked of Conte's response to his original comments Mourinho made a comment that is not only out of order, but is not true and has sparked an incredible reaction from Conte. "The only thing I have to say to end the story is that, yes, I have made mistakes in the past on the touchline. And, yes, I will make less in future. But I will still make a few. "I think when there are these types of comments, before making them you have to know very well the truth. The truth is that I was banned for four months... for failure to report. Then I asked a real trial by court and then they declared my innocence. I think before you make this type of comment, before to hurt another person, you must pay great attention. You show you are a little man. A little man. You don't know very well the situation. But I know him very well in the past. In the past he was a little man in many circumstances, is a little man in the present and for sure he will be a little man in the future. You know him very well. The level is low. I consider him a little man, I consider him a man with a very low profile. You have to know the story very well before hurting another person. In the last period he's suffering a bit of amnesia. We are there, amnesia. When you become older, there is this type of risk. Also for me, and for you. For all. The problem is if you show this. He must pay great attention. He's doing this with regularity. I remember when he offend Ranieri for his English. Then when Ranieri was sacked he put on a shirt for Ranieri. You are a fake. If you want to fight a person, you try to kill this person. And then after two years you try to help this person, because maybe it's good for you, for your profile. 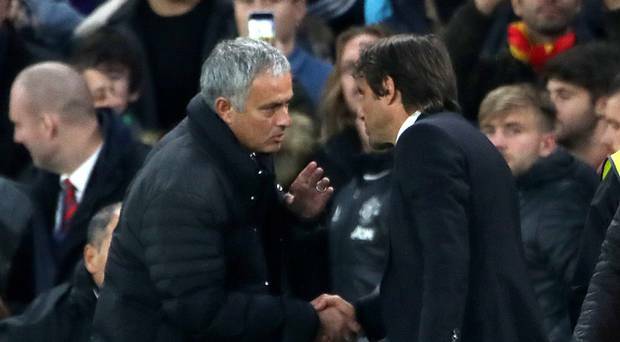 It's all well and good having a go at a tactical approach to games etc but to insult someone on a personal level is a different story and Jose will find out if he hasn't already, that in Antonio Conte he has finally met his match and will not have everything his own way. Be prepared for this spat to carry on as the weeks go by until we meet on 25th February. What I would give to be in that room when they meet at Old Trafford!